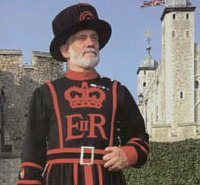 Escorted visit to the Tower of London and the Crown jewels River Thames Cruise After the tour, shops are open until 20.00 for high tea. You still have plenty of time to be free for shopping or browsing around. This tour starts with the view of many London period houses and palaces. Cardinal Place, Scotland Yard headquarters, Albert Pub, Westminster Cathedral, Methodist Church and many other buildings with stunning examples of architecture. Your tour guide will take you past the most interesting locations, alternating with other historic sites such as Somerset House,Lambeth Bridge, Covent Garden, the Tate Gallery and the Shakespeare Museum. While passing many places of interest, your professional tour guide will bring them to life by pointing them out along the way, describing the various uses throughout the centuries. After shopping you will be free to rejoin your own transport and continue with your own private visits. Please note that, in the rare eventuality that itinerary is slightly different for reasons beyond our control, example special official visits closures, events, roadworks etc. we will choose another similar alternative visit instead. including your date of service and number of people in your group. Ordering online has never been so easy and secure. In partnership with Barclaycard Merchant Services. Need a private tour? Full Day or Half Day! Copyright 2003 - 2019 Webslondon.com. All rights reserved. Book Luxury Leisure Cruises to International Destinations. Introduction to services on the French Riviera. Services marked with this sign are accessible to wheelchair users. See where London historic places are in relation to hotels.